Lots of things can keep you from showing the world your smile. For some it may be stains or slight misalignment. For others it could be that your teeth that are cracked or chipped. Whatever your situation, Robison Dental Group can help you improve both your smile and your confidence with custom-made porcelain veneers. Porcelain veneers are a durable, natural-looking cosmetic solution to smiles with stains, chips, cracks, misalignment, and more. They’re made from high-quality dental porcelain, and can be designed to complement your entire appearance, not just your smile. Treatment with porcelain veneers takes just two visits to complete. 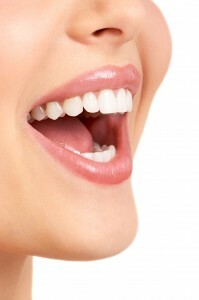 During your first visit with us at our Canton dental office, your doctor will examine your smile and collect all the information he needs to design your veneers. We’ll also prep your teeth and put a set of temporary veneers in place. Then, when our lab has finished crafting your permanent veneers, you’ll come back to Robison Dental Group in Canton to have these put in place of your temporary set. After that, your confident new smile will put in place and ready for you to show the world. If you’ve considered porcelain veneers but just aren’t sure if they’re right for you, we’d love it if you gave our Canton dental office a call. We can answer any questions you might have about veneers, in addition to recommending a treatment plan that’s absolutely right for you. Our office serves patients from Ann Arbor, Northville, Westland, and Plymouth.